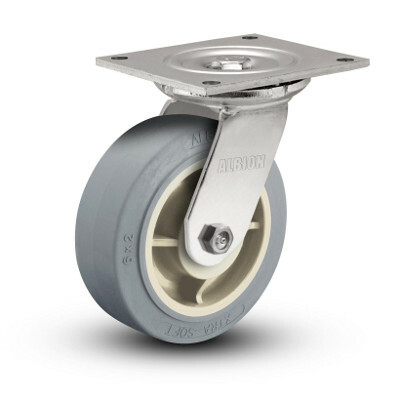 Featuring swivel and rigid top plate mounting options and a dynamic capacity up to 1,500 lbs, Albion’s 61 Series are quality and reliable heavy duty casters manufactured from cold formed steel. Its extensive list of personalizations include swivel seals, thread guards, inside welding, hollow axles, brakes, swivel locks and 25+ wheel options. View the Albion 61 Series catalog pages. We're still adding Albion 61 Series products to the site, but we can help you!